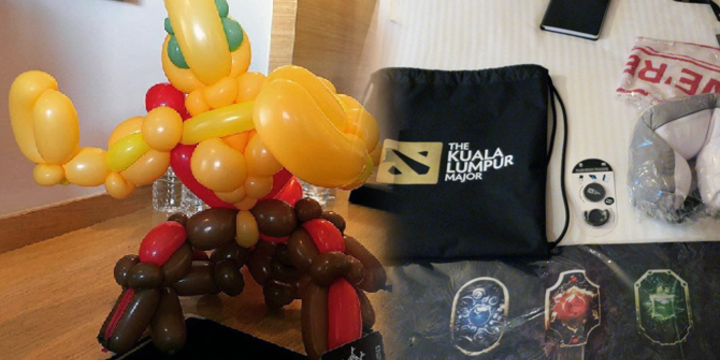 Teams and talent are gathering in Malaysia for the first DPC Major of the season - and PGL has rolled out the welcome wagon to kick of the inaugural event. Teams aren't the only ones getting special attention from PGL - talent have their own share of swag. Fogged's favorite is the attribute mousepad - featuring an extra wide spread for the most wide sweeping mouse movements. Sixteen teams will compete for a share of the $1,000,000 prize pool and 15,000 qualifying points, with Minor champions Tigers taking the last place in Kuala Lumpur with their DreamLeague season 10 victory. Groups have been announced and tournament play begins on November 9th! Enjoy the first DPC Major event of the season - and check out our tournament page for more info!